Located in the Coorg, Bhagamandala is located at a spot where the river Kaveri is joined by two other tributaries, namely the Kannike and the mythical Sujyoti river making it a sacred places as a river confluence is formed here, making it among the most important pilgrim spots in the district. Every year, around the mid of October (the Tula Sankramana in Hindu calendar), a huge number of pilgrims gather here to take a dip in the holy confluence (the triveni sangam) and perform rituals for their ancestors before proceeding to the Talakaveri. 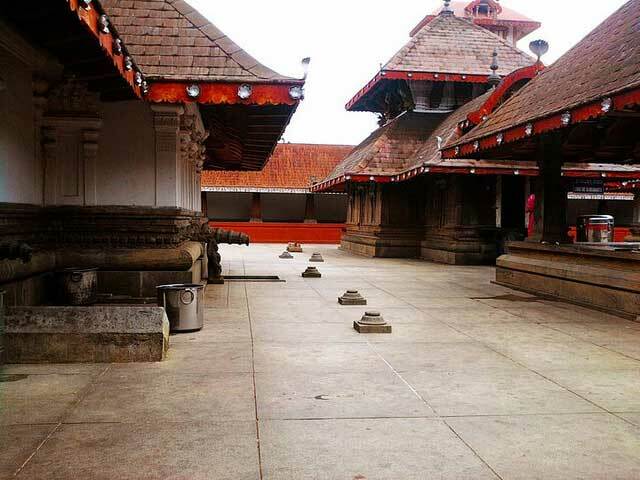 At a short distance from the triveni sangam, lays the famous Sri Bhagandeshwara temple, The Bhagandeshwara temple complex though said to have been built by the Cholas prior to the 11th century follows the gabled roof style of the Kerala temple architecture common on the west coast. During the annual festival which falls between the months of October and November, thousands of oil lamps are lit in the temple. Mt.Thavoor is a towering peak overlooking Bhagamandala, and Mt.Koppatti, which may be considered its twin peak is nearby and both these serve as fantastic trekking routes for anyone wishing to savour the mesmerising beauty of the Shola forest range.